In response to two different RTI applications, the government mentioned two different numbers with respect the number of blocked URLs/websites. In both cases, the government refused to disclose the list of URLs. 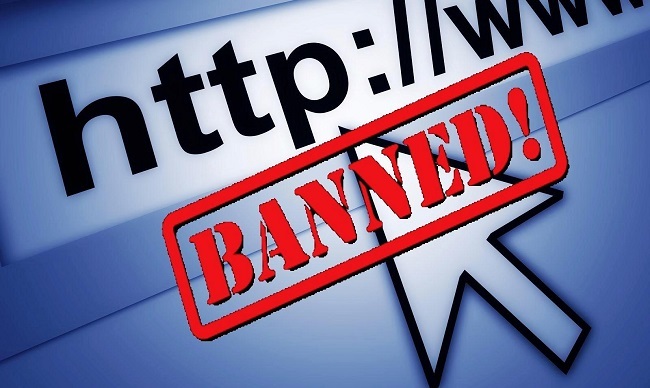 In response to an application under RTI, the Ministry of Electronics & Information Technology (MEITY), Government of India said that a total of 11422 URLs/websites have been blocked since 2010. In response to another RTI application from SFLC, the government said 23030 websites are blocked in India. But the government refused to disclose the list of URLs in both cases citing a provision in Information Technology (Procedure and Safeguards for blocking for Access of Information for Public) Rules, 2009. But is it fair on the government to not disclose the list of blocked URLs? Why & how is a website blocked? The Government of India in 2009 notified the Information Technology (Procedure and Safeguards for blocking for Access of Information for Public) Rules, 2009. These rules were made specifically to exercise powers under Sec 69A of the Information Technology Act 2000 which was subsequently amended. Sec 69A was added to the IT Act 2000 to introduce blocking of access to certain websites. The rules notified in the year 2009 detail out the process for blocking any URL/website. The request for blocking will not be accepted from any individual except the designated nodal officer of a department or the Chief Secretary of a state government. The rules also specify process to be followed in cases of emergency and in cases where a competent court has issued an order. So how many URLs are blocked so far? In response to both the RTI applications, MEITY stated that as per Rule 16 of the Information Technology (Procedure and Safeguards for blocking for Access of Information for Public) Rules, 2009, strict confidentiality shall be maintained regarding all the requests and complaints received and actions taken thereof. And because of the confidentiality, it cannot disclose the list of URLs. However, MEITY says if one would like to know about a specific URL whether it is blocked or not, they will provide such information. It has to be noted that neither the details of requests nor action taken were requested in the RTI applications. Only the list of URLs that were finally blocked was sought. How will disclosure of the list affect confidentiality of complaints received and action taken is something only MEITY can answer. Moreover, Section 22 of the RTI act makes it clear that the provisions of the RTI act will prevail in case there is any inconsistency in any other law with respect to information disclosure. If anything, the government should examine the request in accordance to Section 8 of the RTI act that lays down exemptions to disclosure of information and decide if disclosure of the list of URLs attracts any of the exemption provisions. MEITY hasn’t done this. Another issue to be noted is that most court orders these days are public documents. Mot such orders that direct blocking a particular URL are already in the public domain. For instance, in one the Supreme Court orders, an earlier direction of the government is mentioned along with the list of blocked URLs. Are they going to appeal for the list of urls? RTI is considered as the right to information for the citizens and it mandates timely response to citizens requests and Being Real it aims to promote transparency in government institutions and to solve the problems of individuals in any government office/ department / institute.